Are you ready to fight for a piece of land? Other swarm queens want your territory. Spawn units to get credits and weapons. 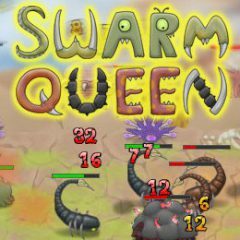 Don't you think that there are no other swarm queens on this land? This challenge is a prove that nothing lasts forever. Just kill your enemies with your minions!